She featured this recipes and the photos in her cookbook – that you can of course go grab on Amazon! Each cupcake features a white cake mix with a real cherry nestled in to the center. Then she finishes it off with a graham cracker buttercream frosting to make a faux pie crust. And uses the red M&M’s to make it look like a cherry pie. These cupcakes from The Domestic Rebel are AMAZING. Surprisingly enough, they are a hit with the younger kids in my family that love the tangy-ness of the limes. 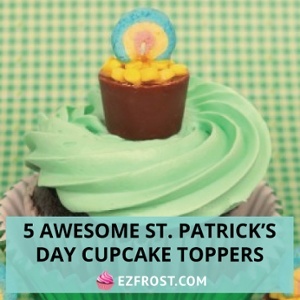 They have an amazing key lime filling in the center, and then are topped with a think key lime pie frosting and then topped off with sprinkles of honey graham crackers for that last hint of a delicious pie! 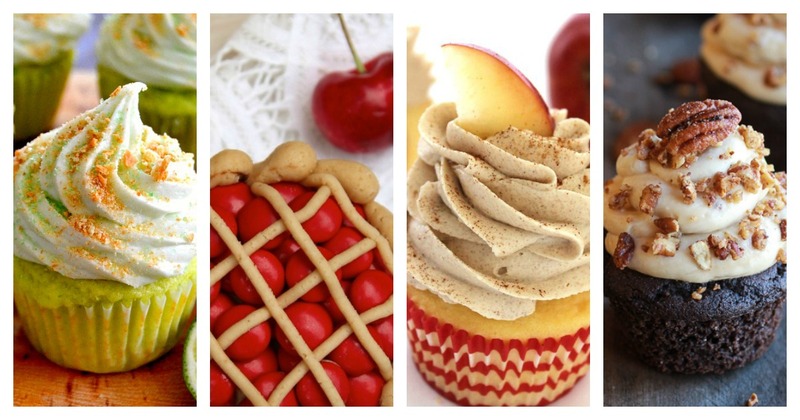 Cincy Shopper shared this amazing recipe for Apple Pie Cupcakes that is just the right combination of sweet and fruity. These delicious cakes are filled with Apple Pie Filling. Then topped with a cinnamon buttercream frosting. And garnished with a slice of apple. Seriously! These are the cupcake sister to a traditional apple pie. This recipe from Half-Baked Harvest is not the simpliest in the world to make, but it is sooooo worth the time and love that goes into making them. The chocolate bourbon cupcake is made with a whole cup of bourbon!